May 14, 2018-Santa Rosa, California — Smith Dollar PC is pleased to announce that Justin D. Hein joined the law firm in April 2018. 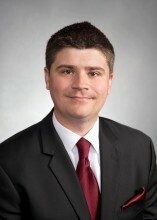 He will be working alongside Diane Aqui, Partner, in our Employment Law practice. Dianna Charles is a promising young law enthusiast who points out the reasons behind growing number of car accidents with an objective of informing people and reducing on-road fatalities. Sedalia MO, 12-January-2016 - The Law Office of Rick Koenig is pleased to announce that the legal practice he offers recognizes that patients who have been involved in automobile accidents need a particular level of attention to details and guidance. Alexandria, Virginia ( ForPressRelease ) January 8, 2016 - The Brown Firm PLLC will now offer an initial free consultation for Virginia residents who are facing a first-time or subsequent DUI/DWI charge. Terrence R Mooney CPA is a recognized, certified, full service accounting and business advisory firm based in New Jersey. The firm is offering expert assistance in dissolution of labour unions and Taft Hartley labor laws.